***UPDATE 10:30AM – In Winnsboro, Dr. Jill Stein has been arrested, taken to Wood County Jail, and is awaiting processing. 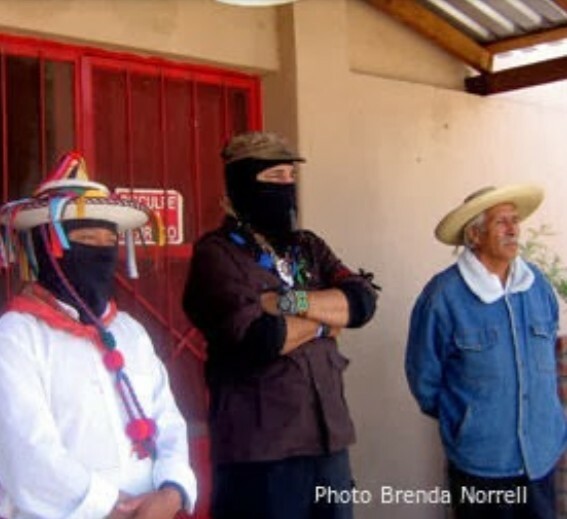 The freelance reporter has been released from detainment without arrest or charge. 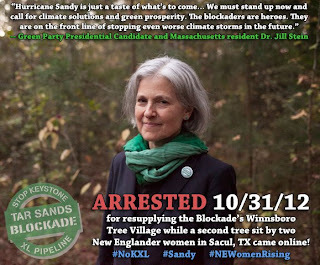 BREAKING: Green Party Presidential Candidate and Massachusetts resident Dr. Jill Stein has been ARRESTED resupplying the Winnsboro Tree Blockade while another duo of New Englander women launched a tree sit further south along the Keystone XL pipeline route! New Englander Women are rising up in response to the devastation their communities have faced due to Hurricane Sandy today to oppose KXL and connect the dots between climate change and the extreme weather being experienced regularly across the globe!